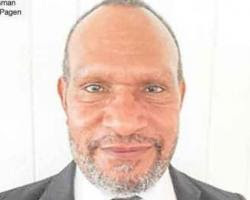 Members of Parliament in Papua New Guinea who own properties overseas are required by law to declare them to local authorities, according to Ombudsman Richard Pagen. Pagen told The National that MPs who failed to declare their properties overseas would be investigated. He said the law was very clear on MPs who must declare all their assets, including properties they owned overseas. Pagen told new MPs during induction on Monday that 114 leaders had so far been referred to the Public Prosecutor since the establishment of the Ombudsman Commission in 1975. “If we compare that with other developed nations, the leaders they have dealt with under the ethical code may be just between three and 10,” Pagen said. He also stressed the importance of including the correct residential addresses in the annual statements. “Members are supposed to declare their residential address so that in the event that we need to have an audience with them, we know where to send the invitation letters,” Pagen said. “We need to know where they live. “For that reason, contacts must be provided so that locating them if, and when, emergencies do arise, it is easier for officials to get in touch with them,” Pagen said.